Home Tech Apple Reserves 12 Petabytes of Content Storage? Apple Reserves 12 Petabytes of Content Storage? It’s reported that Apple placed an order with Isilon Systems for 12 petabytes for iTunes videos. This Seattle, Washington-based company sells clustered storage systems and software for digital content distribution. As of late EMC acquired Isilon, their goal to be a storage infrastructure technology that supports cloud computing services. Since the release of iOS 4 rumors have floated around that Apple is interested in creating their own “digital locker” which is supposed to be a cloud-based storage system for media and content. 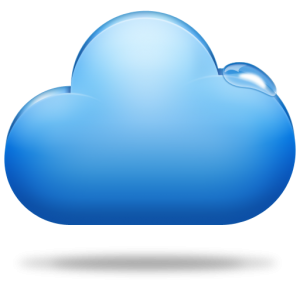 Rumors speculate that this cloud-based system will be a feature in the upcoming MobileMe redesign. Allowing users to stream and store music, download images and have a centralized server that can keep all the essentials for daily life. This report does not confirm that Apple is looking to make this storage into its cloud service, all we know is that Apple is looking store something big. With this deal from Apple, it is supposedly to make the company the largest customer of Isilon. Other major clients include MySpace, NBC Universal, Sony, XM Satellite Radio and more. Isilon one of the largest media content providers for the various corporations around the world. Along with this major purchase Isilon is also reportedly set to introduce a new line of hardware April 11. It will be powered by Isilon’s own custom operating system OneFS 6.5. Being the largest digital music and movie market in the world Apple’s iTunes needs lots of space to store and provide all the content that it had.